The tragic death of any individual in a preventable bicycle accident always hits home to the people who loved that person most. The best way for us to honor the people we’ve lost is to use our experiences to make others respect our loss so that others don’t have to endure the same pain we have. 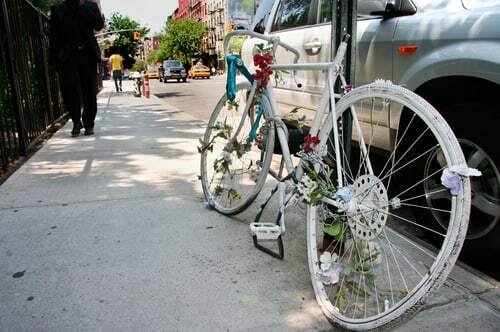 Ghost bike memorials are an excellent way to honor those bicyclists who died in accidents resulting from a driver’s careless or reckless behavior or failure to respectfully share the road. The very first ghost bike appeared in St. Louis back in 2003 and was a haunting reminder of the death of a bicyclist who was hit by a motorist. Other bikes began to appear in the area to memorialize other fallen cyclists. Now there are over 630 of these ghost bikes placed across 28 countries, but by all accounts, this number is far too small. Each ghost bike is painted completely white to symbolize the end of the victim’s life and is accompanied by a plague that honors the individual and reminds those passing by of the fact that those harmed in bike accidents are sons, daughters, brothers, sisters, mothers and fathers to people whose lives are forever altered by their passing. They also provide closure and a means of coping following tragic bike accidents and allow victims’ families to remember their loved ones. When you create your ghost bike, it is important to protect it from theft and the possibility of removal so the materials used and the location of the memorial must be chosen carefully. Many bike shops will be happy to donate junk bicycles, especially when you explain the purpose. Thieves usually only target bikes that are functional, so once you’ve acquired your bike, be sure to remove the cables, grips, brakes and any other part that you will not need for the memorial. Once you’ve acquired your bicycle, it is pretty easy to turn it into a ghost bike. The first step is to degrease and thoroughly clean the bike. Dirt and grime will harm the finish of the paint so this step is important. Use a primer paint just as you would if you were painting a wall in your home. The only difference is that you should use a spray primer and paint as it will be much easier to create an even coat. The tires, seat and any part of the bike that bears visible rust should receive two coats of primer and a single coat should suffice for the rest. Use flat white spray paint and apply the same number of coats as primer. Don’t disturb the bike for a day while it dries. Rather than riding the ghost bike, you should carry it because riding it will remove some of the paint, especially on the tires. You have numerous options to consider when making the plaque to place on your ghost bike. Most of the plaques contain a message written on paper and then laminated but you can contact artists who have the ability to stencil, silkscreen or hand paint the plaque for you. The choice is completely up to you— just don’t hesitate to explain what you are doing to the people you ask to assist you because they may offer to contribute for free. You should secure ghost bikes in the same manner you would secure your own because thieves or those unsympathetic to your cause may try to remove them otherwise. Lock both wheels and choose a post or sign that is sturdy and securely in place. 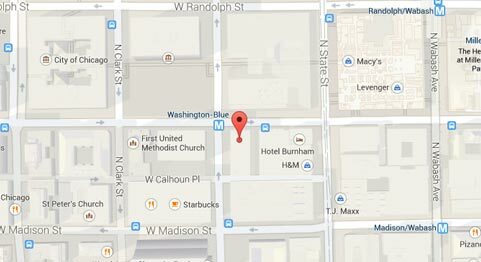 Avoiding locations that could interfere with traffic or the ability of pedestrians to pass is also advisable as this decreases the chances that people will challenge your right to place and keep the monument. One effective method of securing the bike and making it difficult for others to tamper with it is to secure it with bolts and nuts and then to strip the threading or bend the ends of the bolts. This makes it much more difficult for people to pry the bolts away if they intent to remove the memorial. It is legal for anyone to construct a memorial to honor a fallen loved one and it is for this reason we often see memorials at corners where people have been killed in car accidents. Honoring fallen bicyclists is no different, but there have been political hurdles to overcome for people wishing to honor their loved ones with a ghost bike. Most of the time, the challenge is issued by a local group and can be solved locally as well with the assistance of the public or a legal representative. If you place a ghost bike and someone threatens to remove it, contact the media and the public to draw attention to the intent to remove your memorial. In addition, ask a lawyer who supports your right to place and maintain the memorial to write a letter to the conflicting individuals or agency. Rosenfeld Injury Lawyers LLC fully supports the right of everyone to honor bicyclists who have been killed in this manner and would be willing to assist. We want to help you honor your loved ones through the creation and placement of ghost bikes and will be happy to help you spread the word to others. If you submit a photo of your ghost bike to us, we will place it on our website and include any additional information you would like us to include about the person you wish to honor and the circumstances of his or her passing. It is our hope that the creation of more memorials like yours will alert others to the dangers all bicyclists must be cognizant of and remind them of their responsibility to contribute to the prevention of bicycle accidents.